Glenn Myles is a leader in the financial community, has built a 35-year track record in which he executed on nearly $30 billion of transactions as an investor, principal, and advisor. He has engaged in significant transactions in the real estate, energy, and media sectors with a variety of operating companies. His affiliates, partners, and clients have included some of the most influential operating companies and investors globally. He led the US-based investment activities of the Zhong Rong Group, the largest private commercial real estate development, and energy companies in Shanghai, through their US affiliate, the America Capital Energy Corporation. He was responsible for the merger of Crimson Energy Corporation (a publicly traded oil and gas exploration company) and American Capital Energy. Under his leadership, American Capital created three funds; American Capital Energy Fund, American Capital Natural Resouce Fund, American Capital Real Estate Fund. Mr. Myles has a strong commitment to philanthropic activities, for the last five years has acted as co-host of Michael Milkin's Cancer Foundation's, annual Hamptons gala fundraiser. 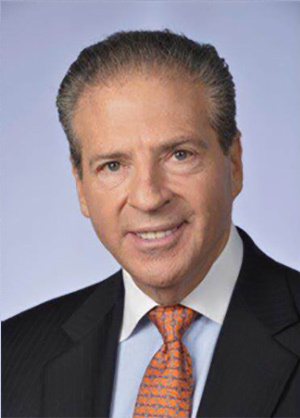 He served as a board member for The Prostate Cancer Foundation, The Grameen Foundation, Planet Finance, Project Hope, Walt Frazier Youth Foundation and the March of Dimes. Mr. Myles was a member of the Young Presidents Organization and was a director of the Fairchild Corporation.